Everyone loves a good day at the beach. Especially me. 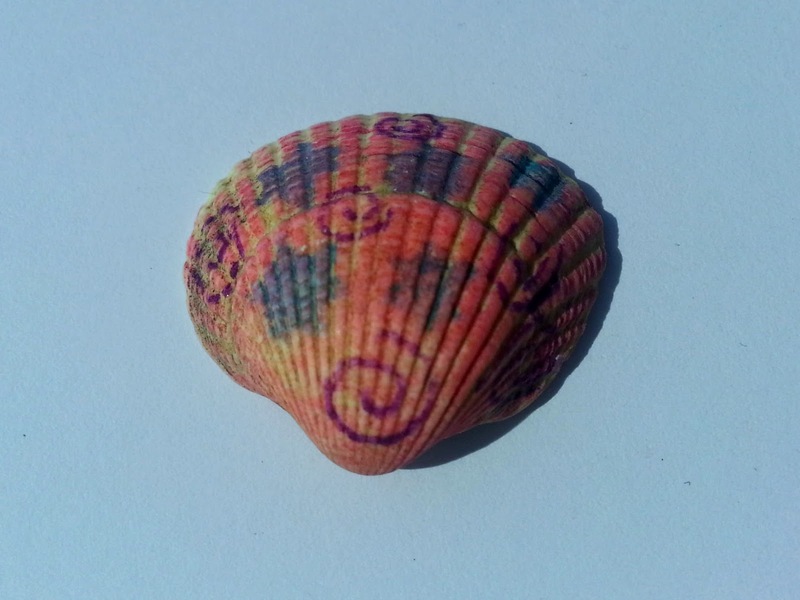 We spend a lot of weekends at the coast, enjoying the sea air and indulging my favourite pastime of shell seeking. 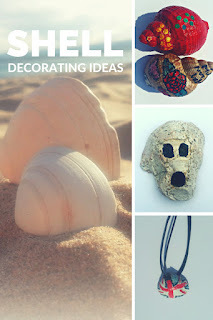 It's a great, low cost activity that everyone can get involved in. The children love seeing what treasures they can find, or dig up. You can tailor it towards their interests, for example looking for pebbles with possible fossils in for dinosaur hunters, or finding shells with holes in, to make into jewellery. 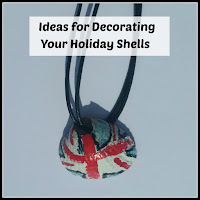 Decorating holiday shells is a great craft, with the added bonus of using up old nail varnish. Decorating shells is a pastime that can be enjoyed at any age, using a variety of materials. 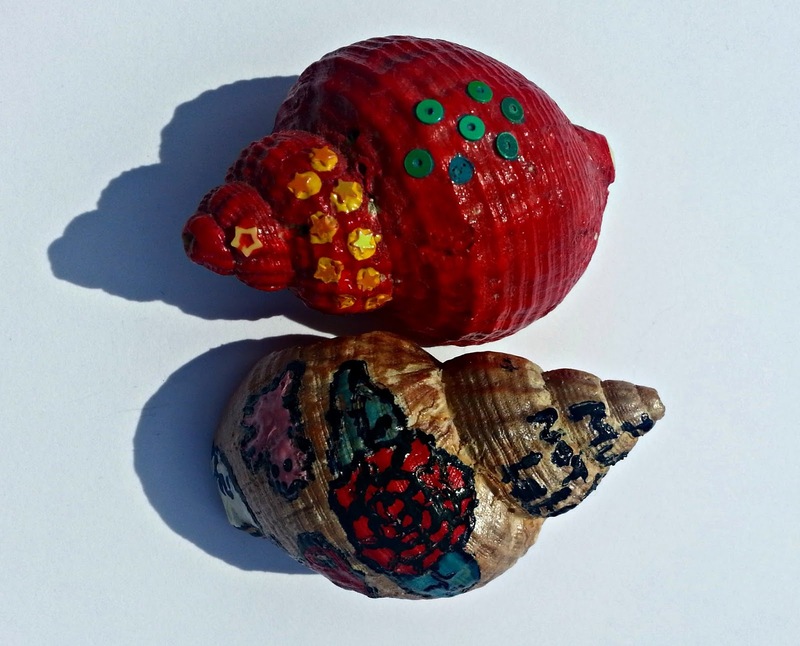 For young children, you can use standard poster or acrylic paint, to add simple patterns or colours. 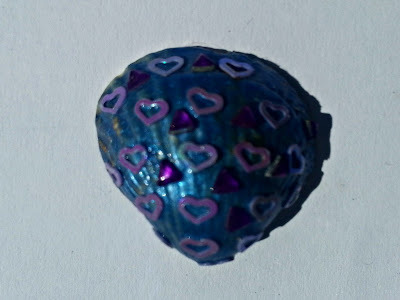 This design was made by painting the shell blue, then sticking nail art decorations onto the surface, while the paint was still wet. Paint works equally well on stones or flat pebbles. 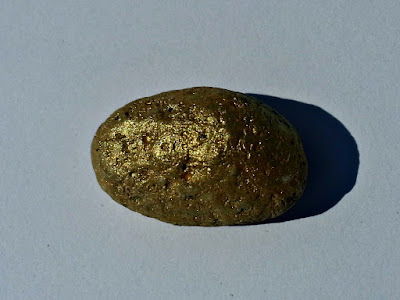 This stone has been painted gold, to make it look like a gold nugget! 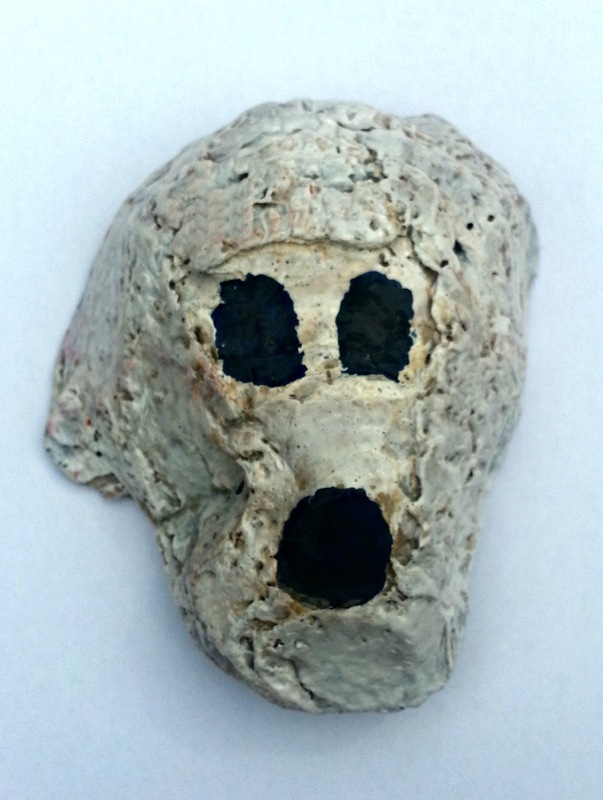 You can also add details, to accentuate the natural pattern in the stone or shell, like the eyes in this ghostly skull. Perfect if your children like a bit of spookiness! This design was made using felt tips, if you really don't want to get the paints out. Although, it is often easier to paint the whole thing white, before you let children loose with the colours, as it will show up more. You can always do this the night before, if you want to avoid too much mess. You may want to varnish the creations when they are dry, to make them shinier and ensure they last. 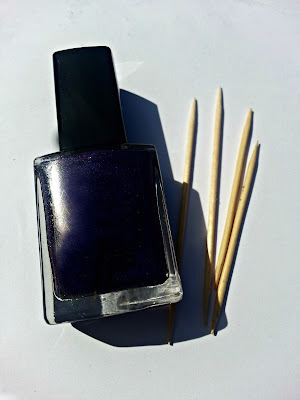 Cocktail sticks are great for getting into the natural grooves in the shell's surface and the thickness of the nail varinish makes it surprisingly easy to control, once you get the hang of it. The trick is to use a very small amount and build it up slowly. You do have to be quite patient, but it's worth it. My daughter is really good at this. Here are two of her designs, using conch shells. If you are lucky enough to find some shells with little holes in, you can thread shoe laces or string through to make a necklace. 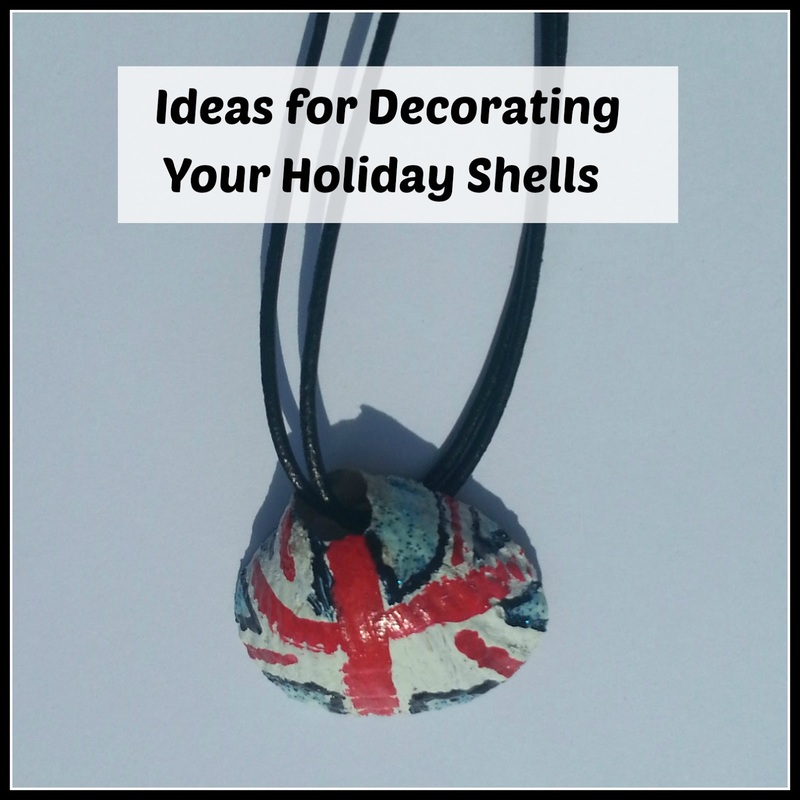 You could also re-purpose an old necklace chord, or Waxed Cotton Cord is available to buy in lengths. Whatever your level of talent, it is possible to create something really beautiful out of something that generally gets left in a corner and forgotten about. It's a great way to preserve a holiday memory with something entirely more meaningful than the usual gift shop souvenirs.